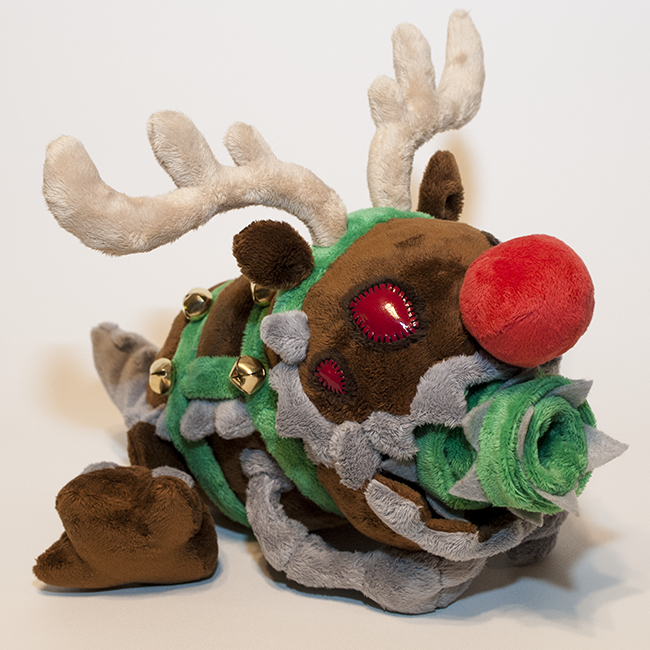 An adorable plushie of one of my favorite champions from League of Legends: Kog'Maw, the Mouth of the Abyss. 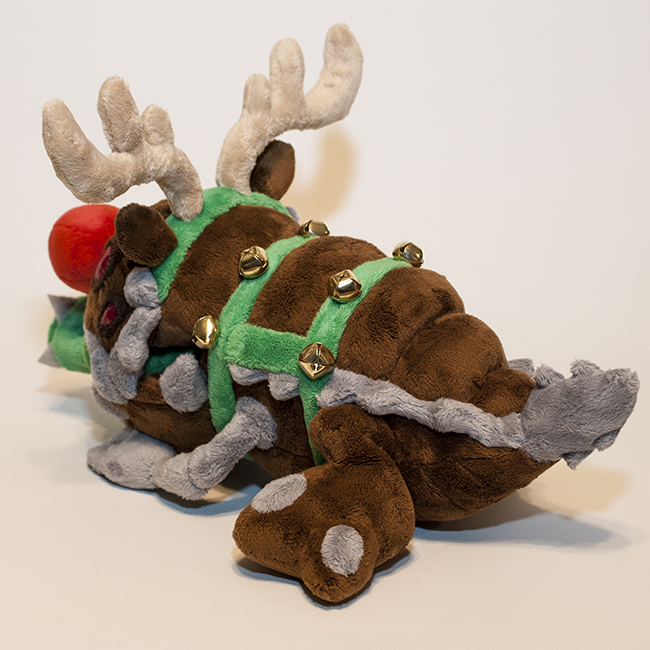 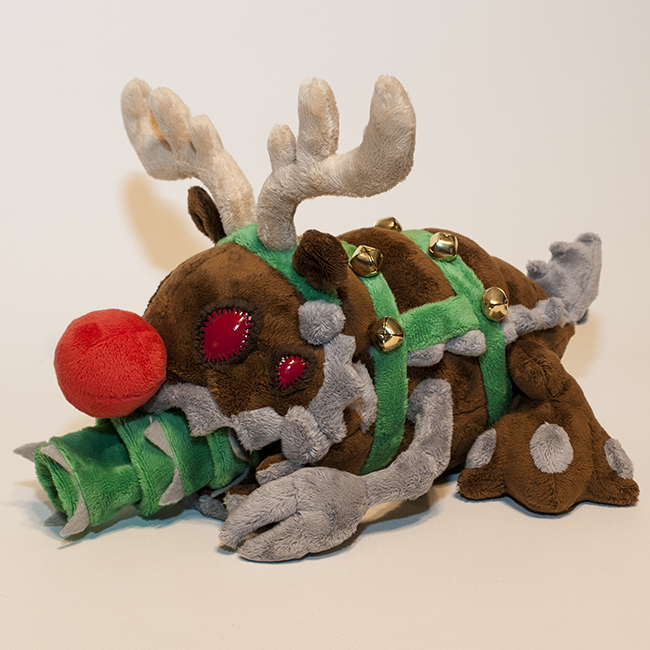 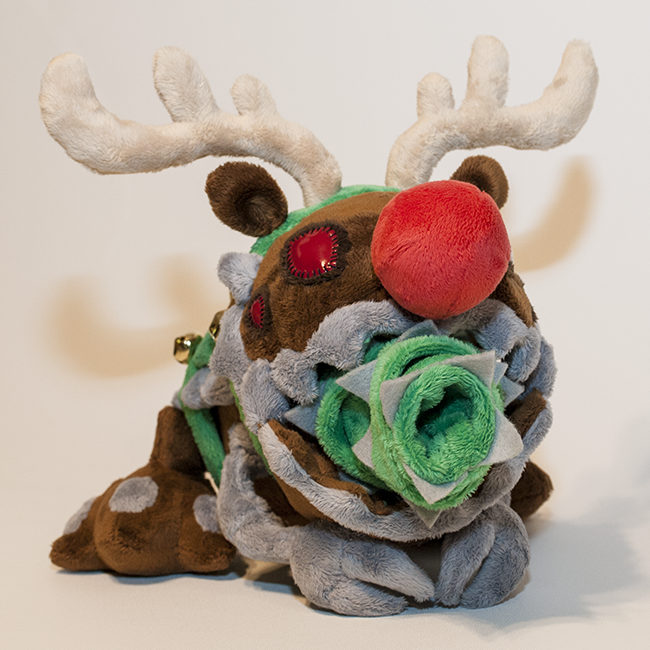 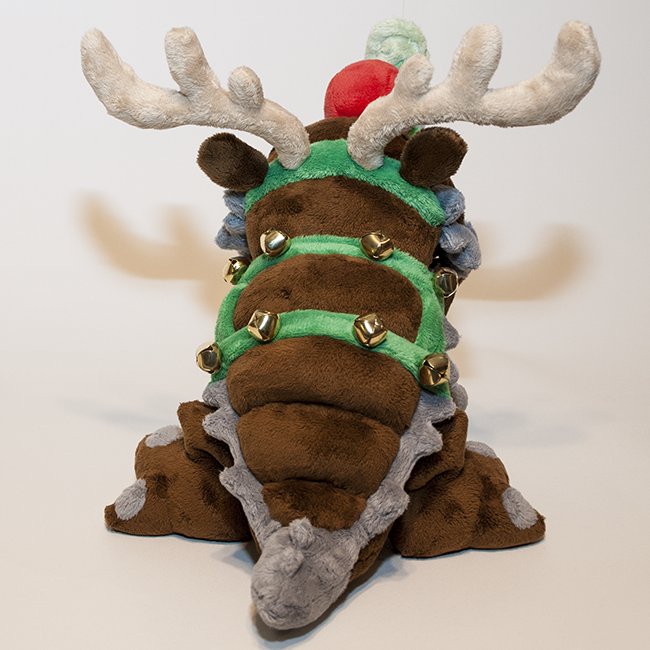 This is his winter holiday, Snowdown Showdown themed Reindeer skin, and he is slightly larger than my other Kog'maw plushies. 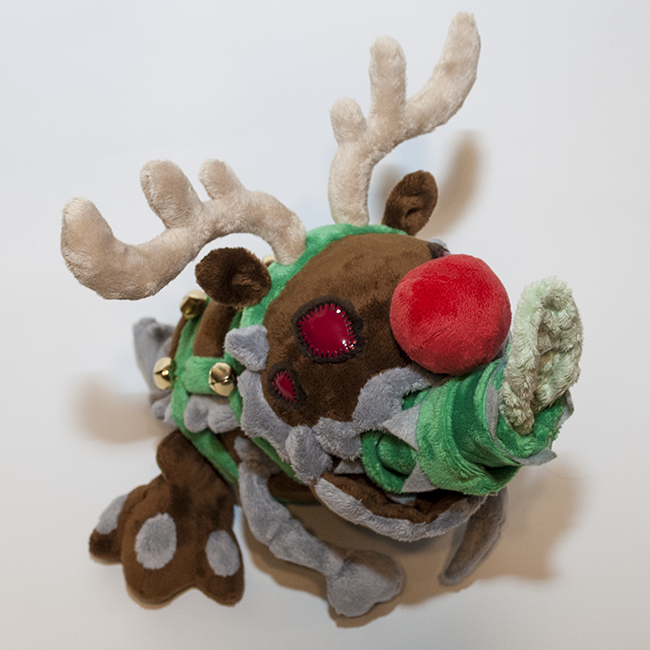 Reindeer Kog'Maw is made from minky for a soft, cuddly touch and bubbly look. 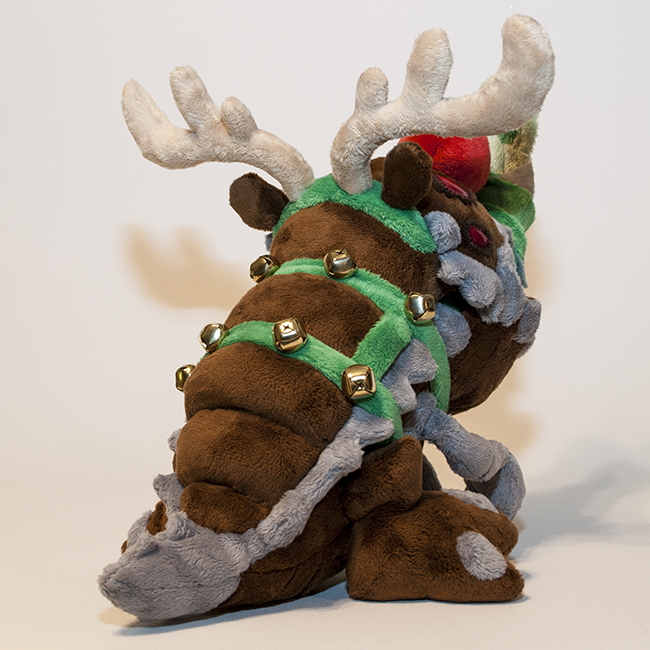 Filled with high quality stuffing, some bean pellets in his bottom and feet for counterweight, and thin wire to hold the shape of his limbs. 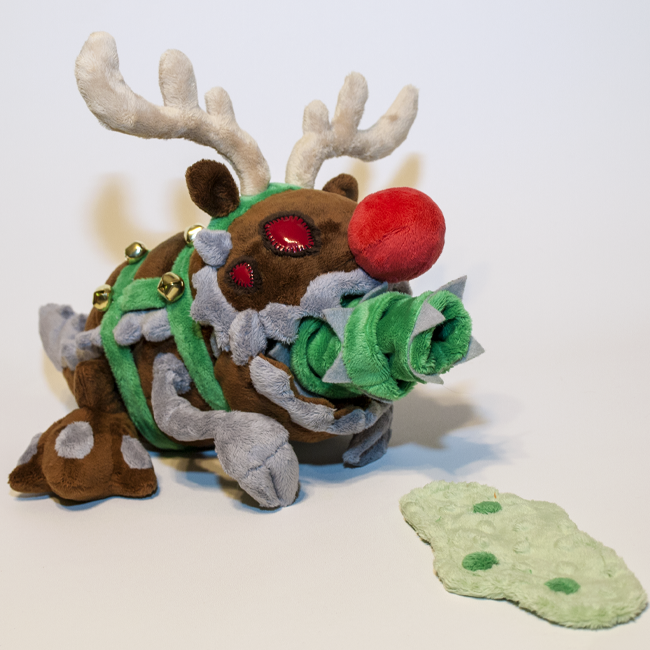 This plushie requires a decent amount of sewing by hand, and is intended primarily as a display plushie for collectors, and is durable for gentle play. 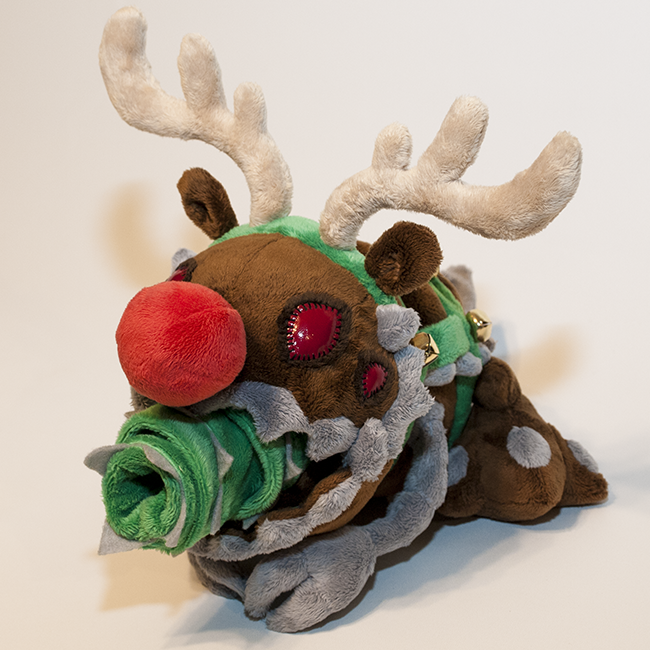 His eyes are made from vinyl, and the bells on his harness were hand sewn in place and provide an adorable jingling sound!